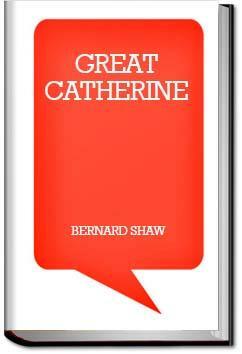 Published in 1913, Great Catherine is a short play written by George Bernard Shaw. The purpose of this play was to actually showcase the skills of a particular actress at the time of publication, which it did marvelously. George Bernard Shaw was and still is considered to be a literary genius. Hailing from Ireland but living most of his life in London, Shaw wasn’t just a well known playwright; he began his writing career as a music and drama critic for several established publications. Many of his plays were transformed into screenplays once he made the move from critic to playwright. His work was recognized internationally, and in 1925 Shaw won the Nobel Prize for Literature. One of his shorter plays, Great Catherine is based on Catherine the Great of Russia (Catherine II). However, rather than portraying the longest-ruling female leader of the country in a serious manner, Shaw portrays her as a silly ruler who is obsessed with the pursuit of sexual relations. The play is light and full of humor, making it an amusing way to pass the holidays we’re all looking forward to this month! Read Great Catherine for FREE at All You Can Books.